I Heart Vientiane: Pan Fried Teriyaki Salmon with Rice and Stirfried Mix Vegetable. Pan Fried Teriyaki Salmon with Rice and Stirfried Mix Vegetable. We can make this dish within 30 minutes. 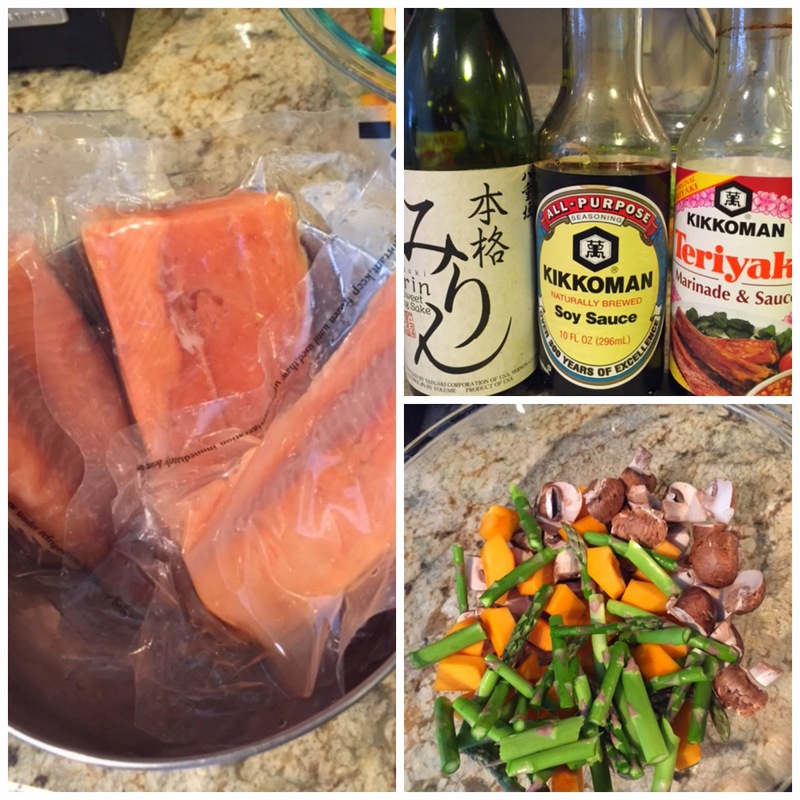 First get the rice cooking while you get the Salmon and vegetable ready. Pan-fry Salmon on nonstick pan for 15 minutes,seasoned with salt and pepper , cooked one side half way through before turning the other side. After the Salmon is done, put on a plate. You can boil in the small sauce pan to thicken and comes together . I just run it through microwave 30 seconds a few times until thicken. Dish your dish with some cooked white rice and some stir fried mix vegetable and the Salmon and drizzle or pour generously on the fish and enjoy. What is your favorite take out or lunch order ? Please comments below and if you like it do share.